FUMES-R-US will work hard to make your fumigation experience satisfying and as convenient as possible. Utilize our combined industry experience of three generations-family owned and operated. 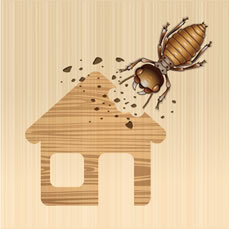 Leave your property just as we found it, minus the termites! Each and every one of our Fumigators has undergone a Commitment to Excellence program by our gas suppliers in order to ensure a highly trained and competent fumigator applies their product. Most of our licensees have over 25 years of industry experience. Every employee regularly undergoes drug screening and background checks. Our employees are courteous, helpful, and uniformed. You can rest assured that from the staff in the office to the last person that handles your property you will receive the utmost professionalism and care. documents you may need prior to scheduling). our employees work hard to attain 100% customer satisfaction. 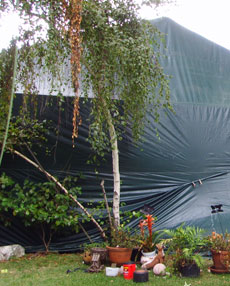 (Applies to tent fumigations and must be requested when booking your fumigation estimate. One discount per property). How much fumigant should be applied to my home? This can only be determined by the fumigator, as factors such as target pest, exposure time, seal of the structure, weather conditions, temperature etc... will be calculated in order to figure the total amount of gas to be used.